The key to Avadex Excel 15G (tri-allate) application and its place in anyweed control programme hasnt changed in all of its 53 years of product lifeand this is accurate metering of the product right across the boom, saysAgrovista agronomist Simon Vaux. Simon says that he sold a lot of Avadex last season. I think we need to seriously change ourreliance on post-em black-grass products. To manage resistance issues andfarmer expectations, farmers are using a stack of residuals which, in my recentexperience, can, if everything goes right, result in 98% control ofblack-grass. It is a bit of a reality check when thinking about black-grasscontrol and just how difficult it has become nowadays, but sometimes you have togo backwards to go forwards. Certainly in the last few years tri-allate, which unbelievably has beenon the market for over 50 years with no change in its resistance status, hasbecome an integral part of our strategy today and is an essential residual toinclude in the mix. I think it makes a big difference to the end result. Bothexisting and new customers are using this product now. But we have found that it is not always easy to get the product appliedaccurately. You dont want to be over-dosing or under-dosing, as black-grass issuch a difficult and competitive weed. 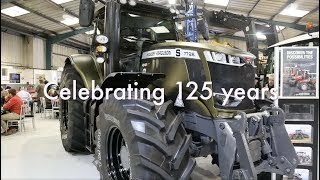 Contractor Neil Welburn and I went toAgriTechnica last year to seek out a suitable machinery solution, but we didntsee what we were looking for. Some of the existing machines didnt have a wideenough boom; more importantly some were not delivering the precise amount ofgranules down each pipe, says Simon Vaux. So we went to contractor Richard Lapage of R&H Contract Services,based in Framlingham, and together we have developed a brand new machine with a24 metre boom and precise application. Neil Welburn takes up the story. Thedemand for Avadex has been increasing over the last few years as growers lookfor a solution to their difficult-to-control black-grass. Our new applicatormakes its application much more accurate it is phenomenal. The new machine covers the ground quickly, so we get more acres treatedin a day. Farmers work to a tight schedule and everything on-farm has speededup! We need a matching increased work rate with the applicator. 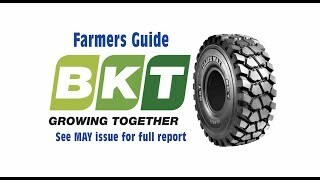 Neil points out that the applicator is mounted on a small tractor withlarge wheels which allows the whole system to tread more lightly and allows accessto the land when required. All ourcustomers like the new applicator. Simon Vaux says that his farmers are looking to control black-grass inboth winter wheat and winter barley and have tried out a number of new, differenttechniques including using more Avadex in their programmes. Some farmers are able to delay drilling andsome can introduce spring cropping. This wont change overnight. Dr Dominic Lamb of Gowan reports that more Avadex than ever before wentout onto farm last year. Many more growersare seeing it as the starter herbicide This is because it fulfils a keyrole in the control of difficult-to-control grass-weeds such as black-grass,annual meadow-grass and wild-oats as well as some common broad-leaved weedsincluding cleavers, charlock, chickweed, mayweeds and poppy. Many farmers arekeen to integrate this valuable active ingredient into their weed controlprogramme in both winter wheat and barley, he says.